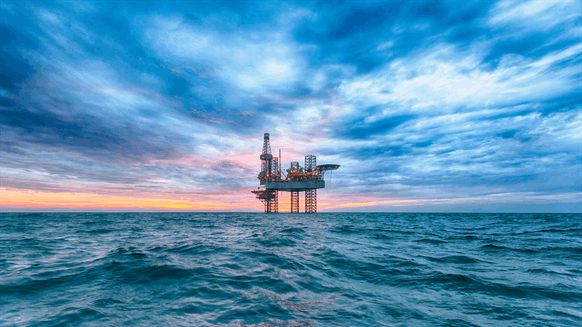 Energean Oil and Gas, the oil and gas producer focused on the Mediterranean, has made a significant gas discovery at its Karish North exploration offshore Israel, the company announced in a statement. Initial gas in place is estimated between 1 Tcf (28 Bcm) and 1.5 Tcf (42 Bcm), while high quality reservoir in the B and C sands has been found, the company added. The Karish North discovery will be commercialized via a tie-back to the Energean Power FPSO, which is located 5.4km from the Karish North well. The FPSO is being built with total processing and export capacity of 8 Bcm/yr (775 mmcf/d), which will enable Karish North, and future discoveries, to be monetized. In December, 2018, Energean signed a contract with I.P.M Beer Tuvia to supply an estimated 5.5 Bcm (0.2 Tcf) of gas over the life of the contract. The contract is contingent, inter alia, on the results of Energean’s 2019 drilling program and today’s announcement significantly increases the likelihood of its conversion into a firm contract. Karish North spudded on 15 March, 2019 utilizing the Stena DrillMAX, a sixth generation drillship capable of drilling in water depth of up to 10,000 feet. In August, 2017, the company received Israeli Governmental approval for the FDP for its Karish-Tanin gas development project, where it intends to use an FPSO and produce first gas in 2021. Energean has already signed contracts for 4.6 bcma of gas sales into the Israeli domestic market. Future gas sales agreements will focus on both the growing Israeli domestic market and key export markets in the region. In Greece, the Company is pursuing an ongoing investment and development program to increase production from its Prinos and Prinos North oil fields and to develop the Epsilon oil field in the Gulf of Kavala, northern Greece. Energean has five exploration licences offshore Israel, and a 25 year exploitation licence for the Katakolo offshore block in western Greece and additional exploration potential in its other licences in western Greece and Montenegro.